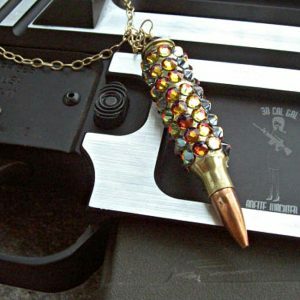 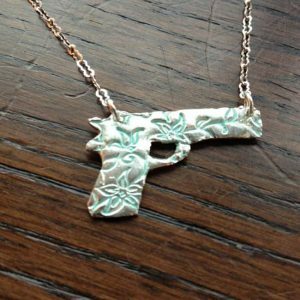 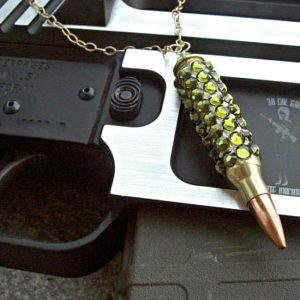 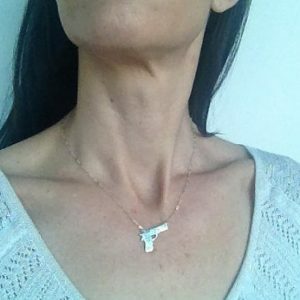 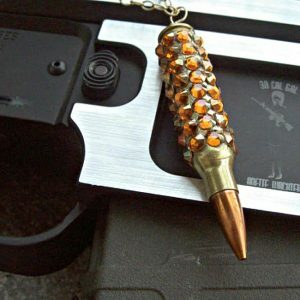 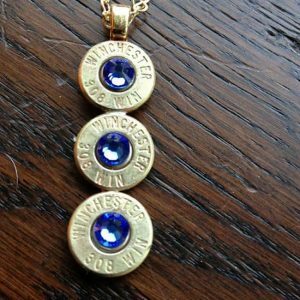 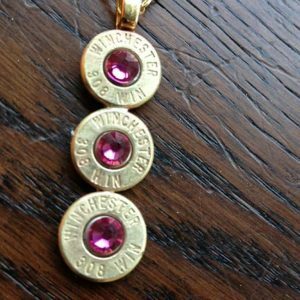 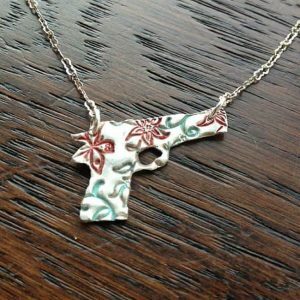 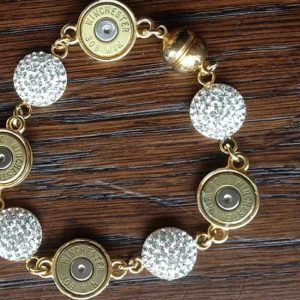 Are you a fan of gun jewelry? 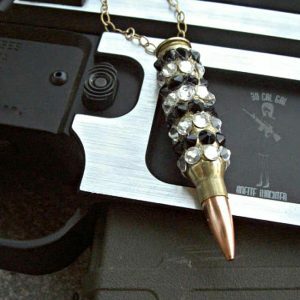 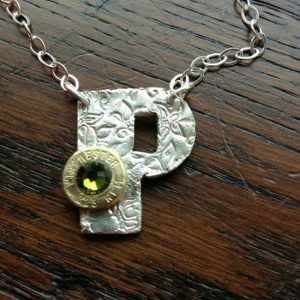 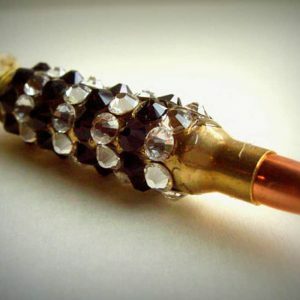 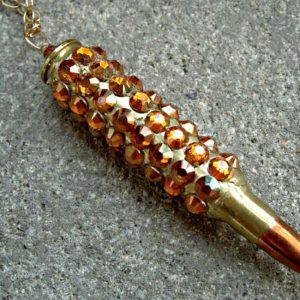 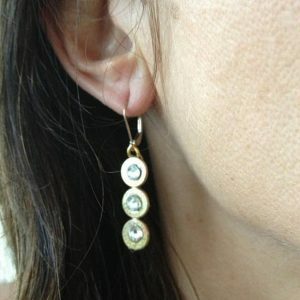 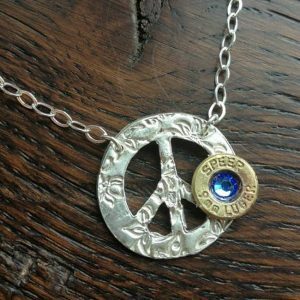 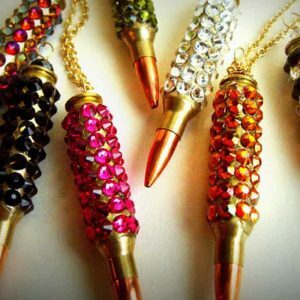 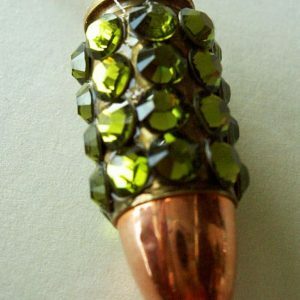 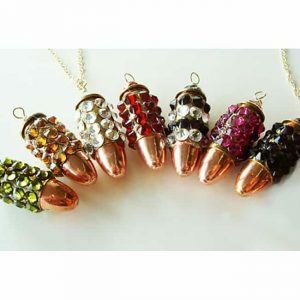 We’ve got a great selection of jewelry made from bullet casings, jewelry made from guns and jewelry made from bullets. 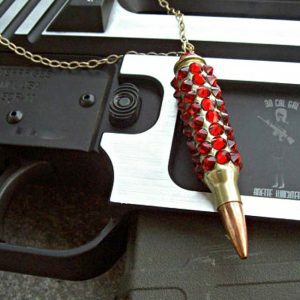 Our bullet jewelry is unique and one of a kind. 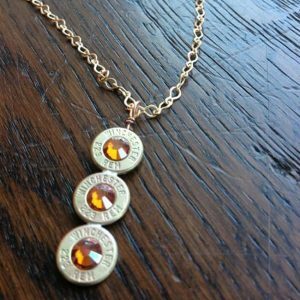 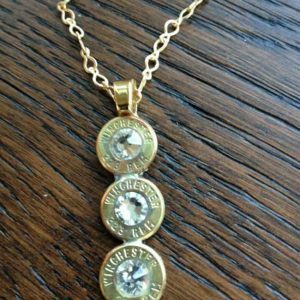 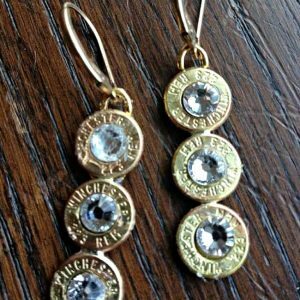 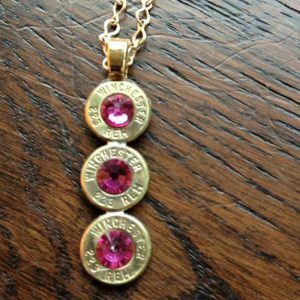 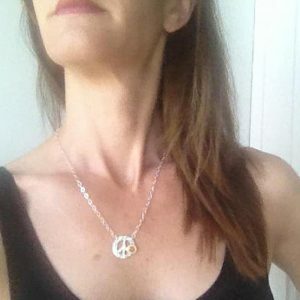 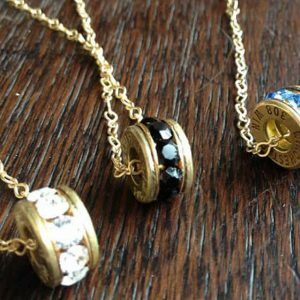 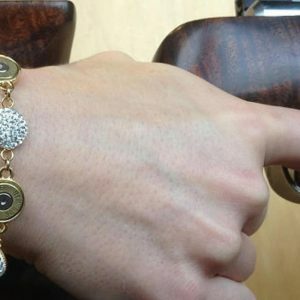 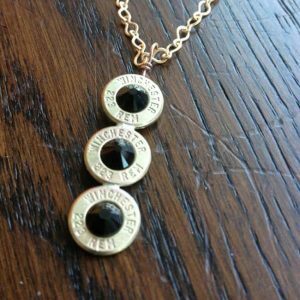 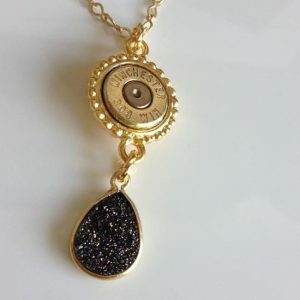 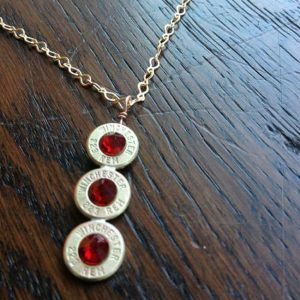 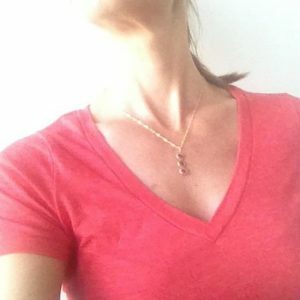 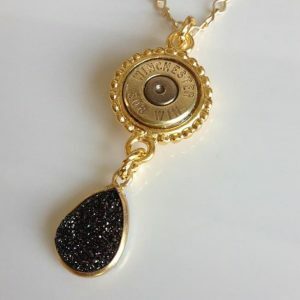 Made in the USA by a skilled artisan known for her handcrafted gun jewelry, our selection of jewelry made from bullets is well-priced and simply stunning. 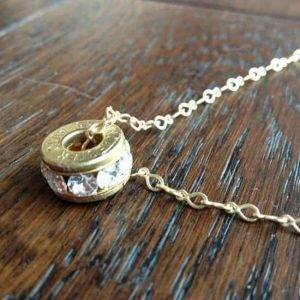 Some of our pieces feature Swarovski crystals and gold-platted chains. 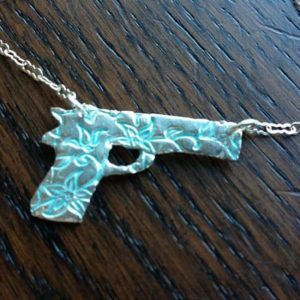 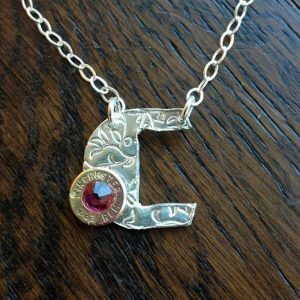 Why not select a piece of gun jewelry to go with your new concealed carry purse?